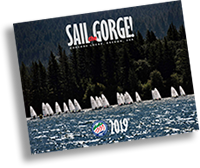 Keep track of upcoming events with a beautiful 2019 CGRA Sailing Calendar, available at Lulu.com. Only $19.99 for 12 awesome photos of Gorge sailing action. Of course, for just a little more, you can step up to an intermediate CGRA membership and get the calendar for free! Either way, your purchase will help support CGRA's efforts to bring world-class sailing opportunities to the Gorge. ISA: Brett Beyer to offer world-class Laser coaching in the Gorge! Attention Laser sailors! 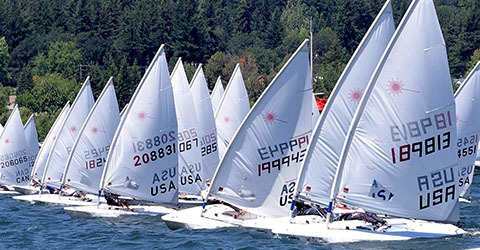 The International Sailing Academy (ISA) will be back in the Gorge this summer offering world-class training opportunities to North American sailors in the planet's premiere heavy air venue. ISA training camps are renowned for producing game-changing performance gains for club racers as well as Olympic medalists. As a special bonus, leading the ISA coaching team this year is 13-time Laser Masters World Champion and Olympic sailing coach Brett Beyer from Sydney, Australia. In addition to offering three training camps (one youth and two all-ages), ISA coaches will be available for regatta coaching at the Wind Youth Regatta, July 20-21, and the Laser Master Pacific Coast Championships, August 3-4. If you've ever asked the question "How can I make this boat go faster?" YOU DO NOT WANT TO MISS THIS OPPORTUNITY! Attendance is limited, so sign up today to reserve your space. It takes a lot of work and a lot of money to continue to bring world-class sailing opportunities to the Gorge. 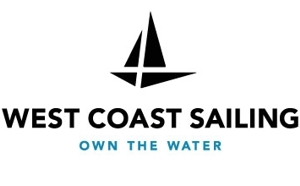 Without the membership base of a traditional yacht club, we're dependent on the support of our friends to help cover the costs of boats, shore facilities, site improvements, coaching, instruction, and race management. Donations and sponsorships account for nearly a third of our budget; without them, we could not exist. If you're passionate about sailing and like what we're doing, please consider including CGRA in your charitable contributions this year. CGRA is a 501(c)3 non-profit organization, and all contributions are fully tax deductible. To make a contribution or learn more, click here. Thanks for supporting CGRA! Sailing the Gorge: Too much fun? "It is really one of the legendary venues of the world." Jonathan McKee explains what he means in this interview. We’re reaching out to sailors around the world to help support our efforts to bring world-class sailing events to the Gorge. But first we want to hear from you. How was your experience sailing in the Gorge? What can we do to make future visits more enjoyable for you and your family? What CGRA programs and/or events are most important to you? Our goal is to make CGRA “the best place in the world to sail.” Help us do it by taking five minutes to complete our Sailor Satisfaction Survey (click here to take the survey). There’s no obligation and all responses are anonymous unless you wish to volunteer your contact information. If you’re curious, you’ll have an option to view the results after you complete the survey. 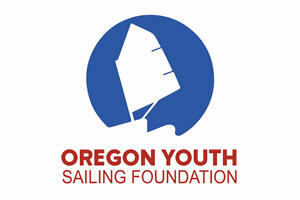 Thank you for supporting sailing in the Gorge. We hope to see you back on the river in 2019 to help us make more world-class sailing memories!